Helps in removing trauma of rejection or abandonment, loss or shame. It also assists in healing abuses to other chakras in this process. Brings about a healthy love and self-acceptance in that it promotes the right to love and be loved. Helps with antisocial or withdrawn behaviors by removing the intolerance of ourselves or others. Zoisite has a Rhombic crystal system and is in the mineral class of group silicate. It is formed during a metamorphosis process in rough masses. Its green coloring comes from the presence of chromium and vanadium and is many times found contained with Ruby. Today, most Zoisite found is the type called 'Ruby in Zoisite' (also known as Anyolite). This combination of gems has highly energetic properties. If you find the effects of Ruby by itself a bit much, the Zoisite softens that rough road. Zoisite is most effective when worn on the body for long periods of time. While it takes a while to reach its full effects, continued use will ensure success. It is most beneficial at the 4th or Heart Chakra. Ruby in Zoisite helps us to avoid conforming to others and being effected by outside influences. It makes it possible for us to realize our own ideas and desires. It can also clear the path to transform destructive attitudes into a more constructive way of life. 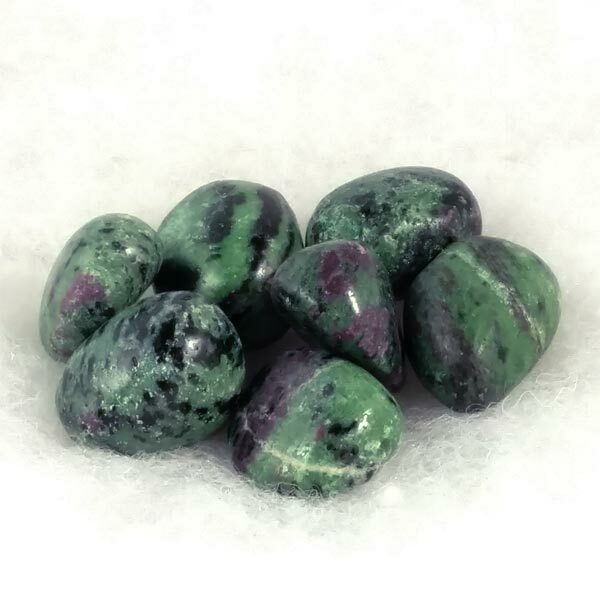 Ruby in Zoisite will encourage recovery from illnesses or periods of heavy stress. It aids us in rediscovering suppressed feelings and allows us to gradually live through them and express them. Ruby in Zoisite brings out our creative side. If we have been side tracked, it gently guides us back to where we left off and brings us back to the path of what we had intended to do. 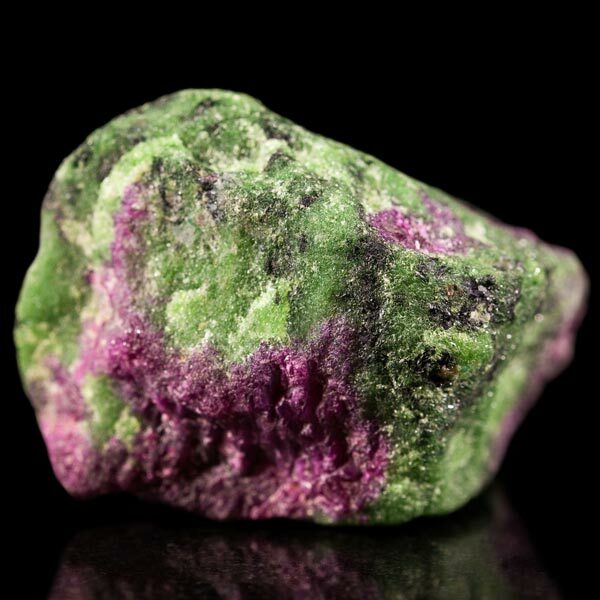 Ruby in Zoisite has been found to help with diseases of the ovaries and testicles. It has also been found to stimulate fertility, and with the added Ruby, it has been found to increase potency. It can detoxify tissues and neutralize overacidification by stimulating the regeneration of cells. It is also quite effective in hindering inflammation and strengthening the immune system. Ruby in Zoisite has a special affinity with Gemini. It has a Projective and Receptive energy and its elements are Fire and Earth. Zoisite was first discovered around the end of the 18th century in Karten, Austria. It received its name from the mineral collector Freiherr von Zois. Zoisite with Ruby has been found to be quite magickal in its properties in that it stimulates and amplifies psychic abilities. It has been used quite extensively by healers in Asian countries for both diagnosing dis-ease and communicating with spirits.